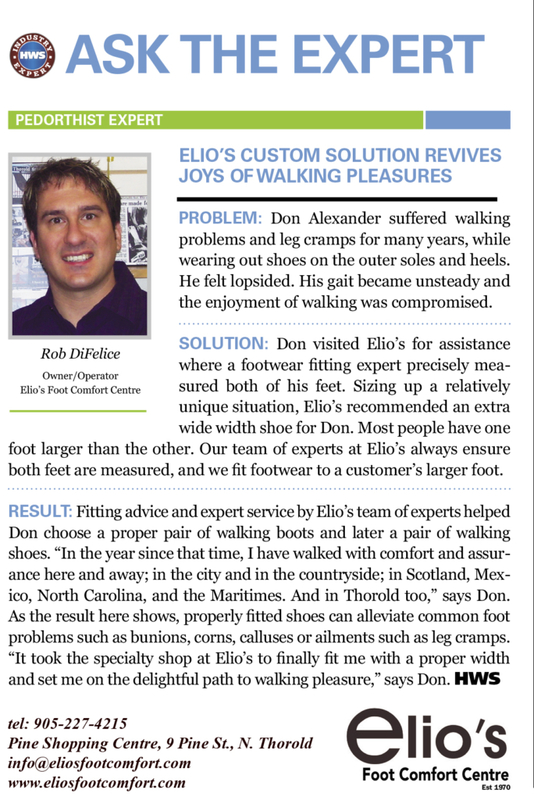 A regular column published for several years in the Health, Wellness and Safety Magazine features an article by a member from Elio’s team of experts. 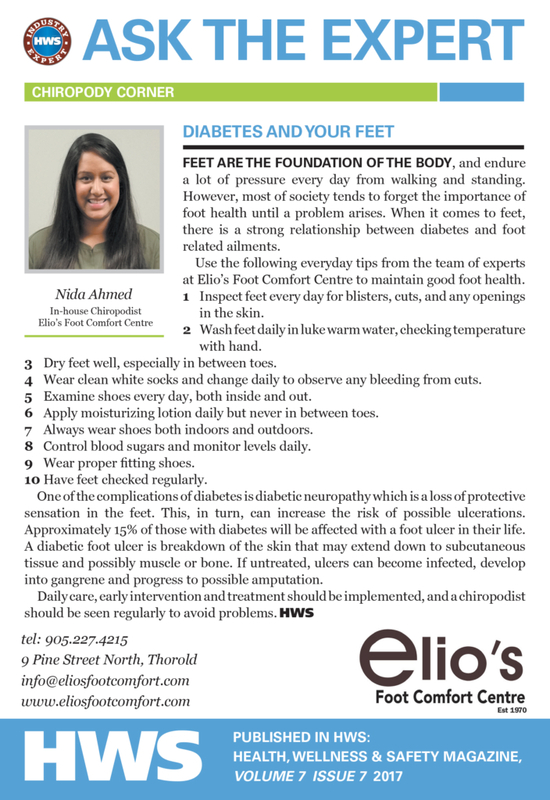 The informative articles cover a wide range of foot health topics. 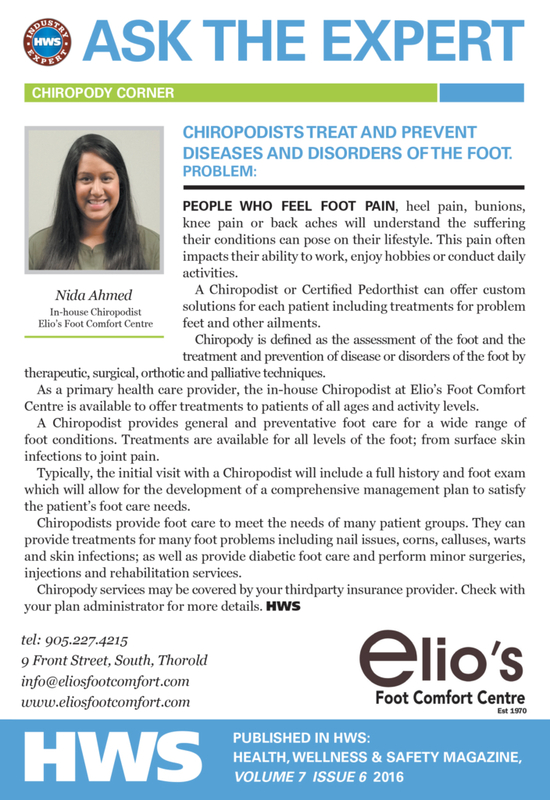 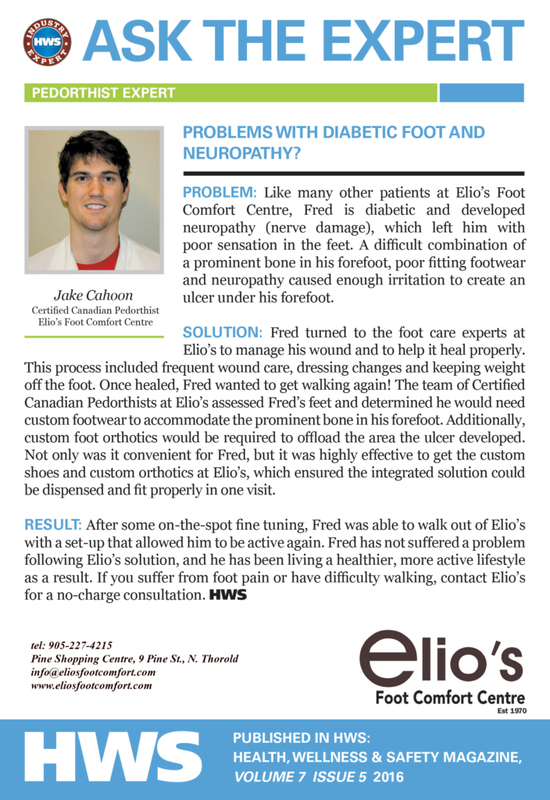 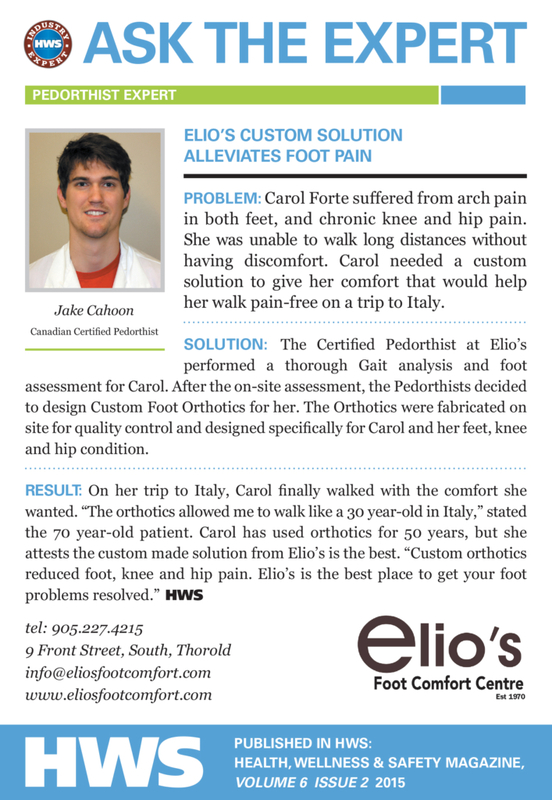 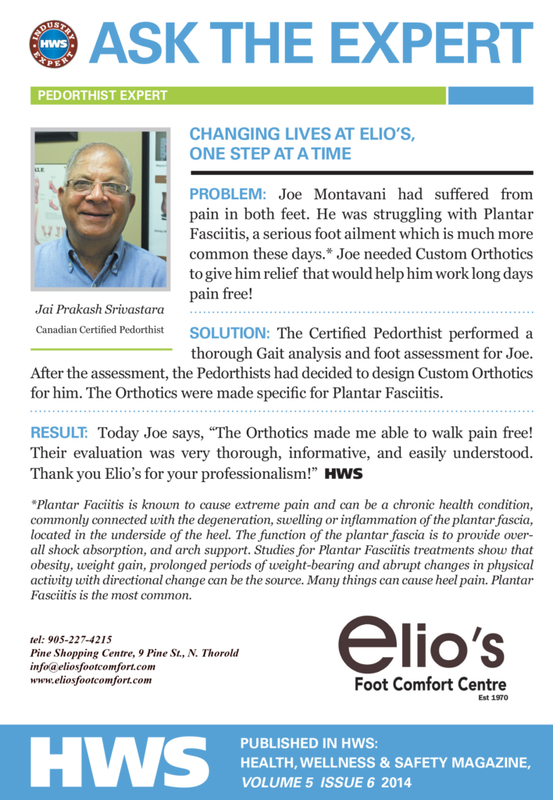 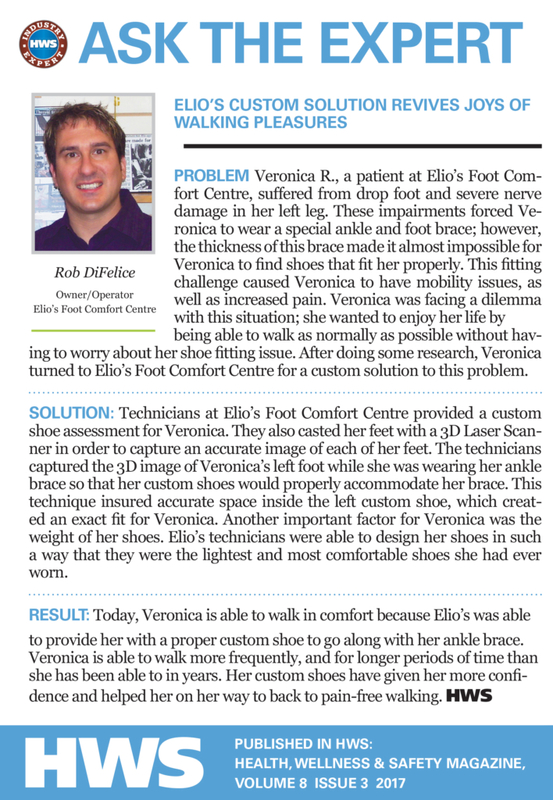 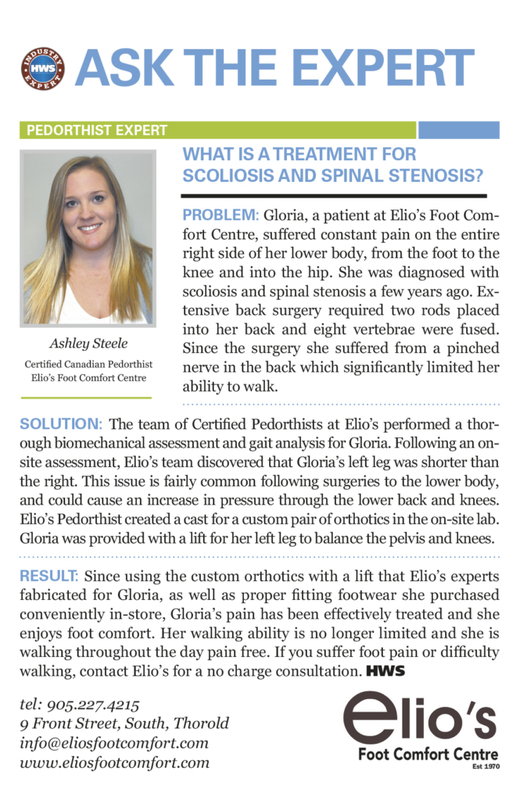 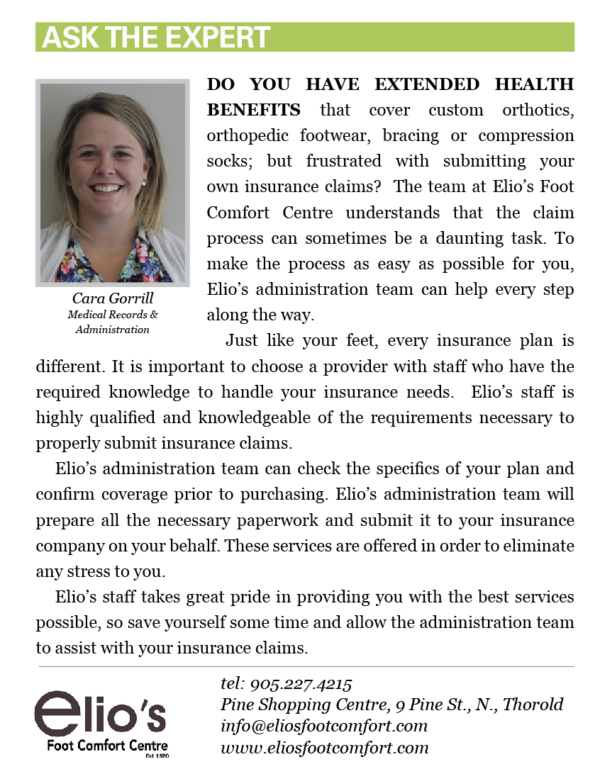 In addition to helpful tips on foot care, the articles frequently offer success stories on Elio’s patients who experienced custom solutions to relieve foot pain or other related problems. 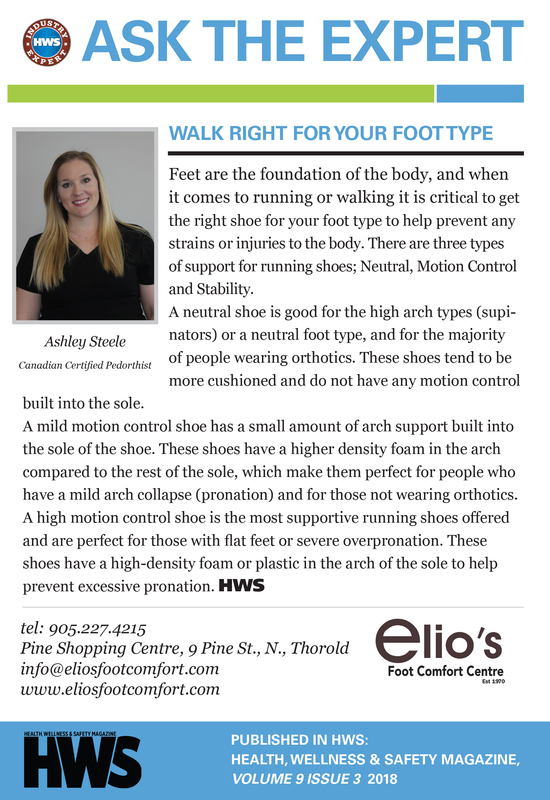 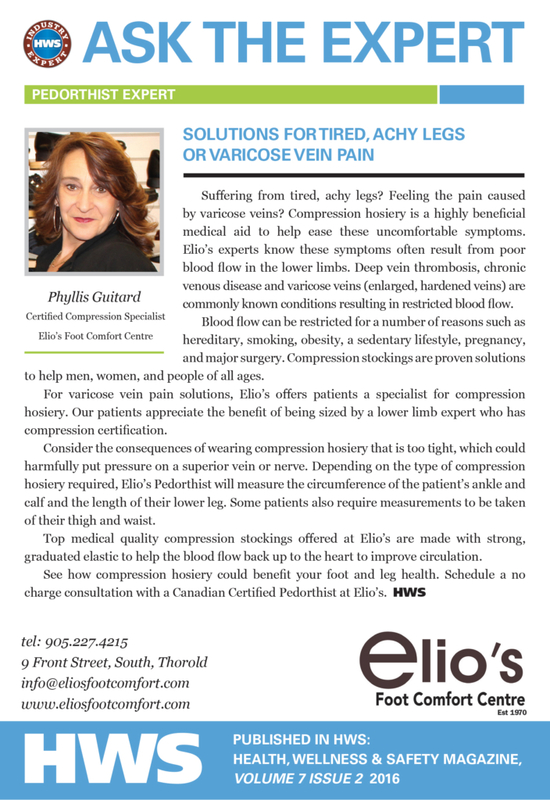 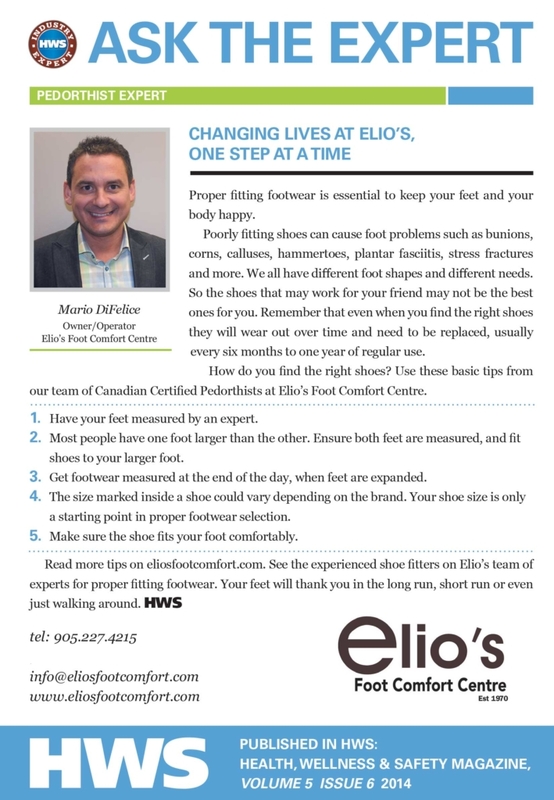 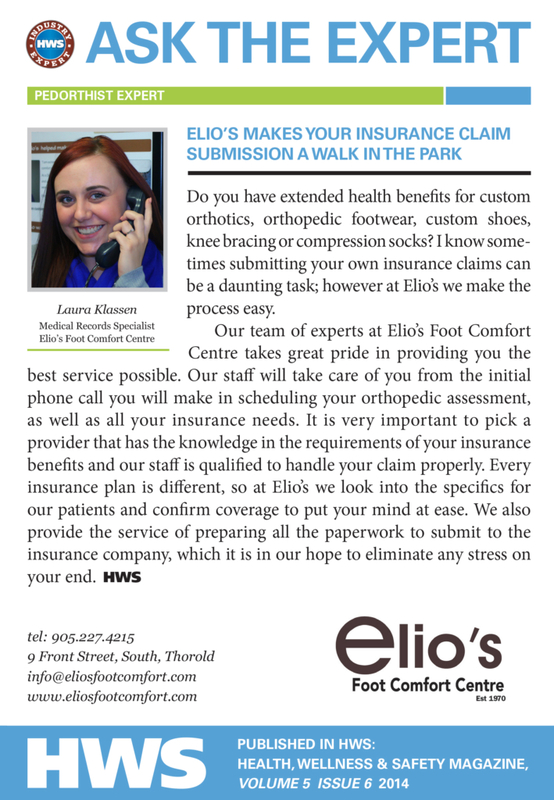 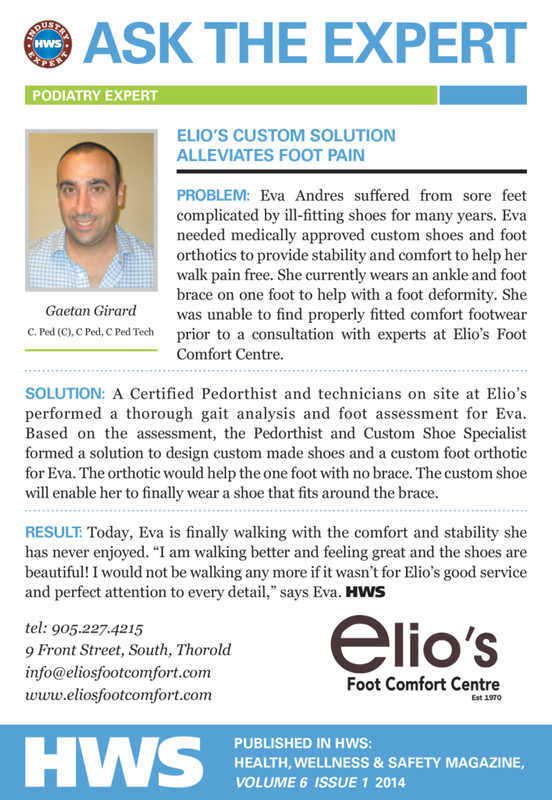 Pick up a complimentary copy of the current edition of HWS at Elio’s Foot Comfort Centre.